Would you like to see my book collection? Hehe. Those are book blocks I'm collecting from my bee mates. In July it was my turn to lead the collaborative quilt for Love circle of do. Good Stitches. 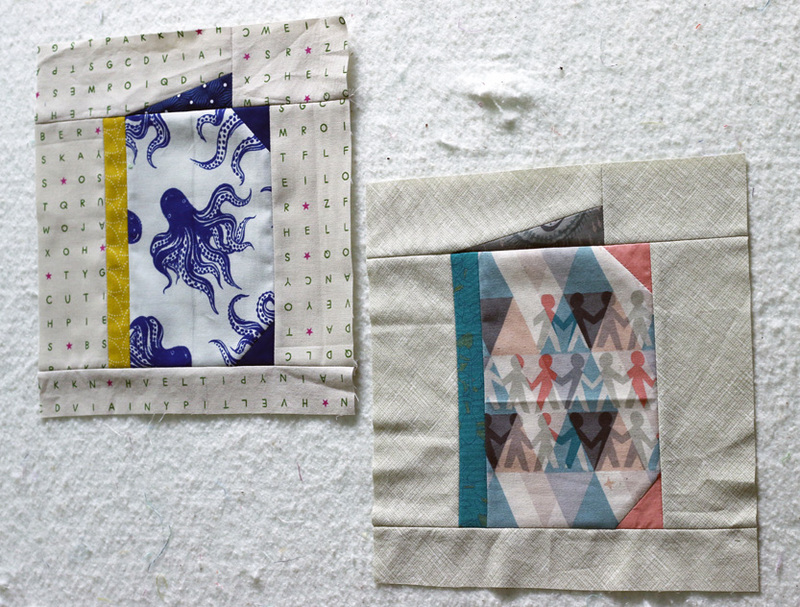 I asked my friends for book blocks, made in the style of Ayumi's Patchwork Please. I'm eager to put them together soon! Here are the two I made. It was so much fun to choose whimsical fabrics that might capture a child's imagination! I usually sew bee blocks from scraps, but this time I raided my stash fabrics as well. Those children holding hands were too perfect to pass up! Avalon by Joel Dewberry combines sweet summer peach with dusky autumn plum. As August brings us closer to the turn of the seasons, this collection hints of the harvest. 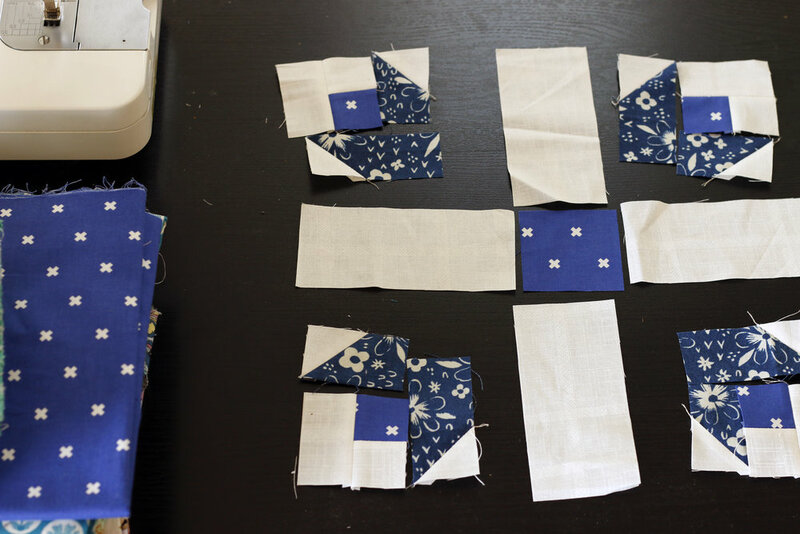 Find Avalon in a fat quarter set or half yard cuts, now at Quilt Sandwich. And speaking of books, I haven't known how to respond to your outpouring of congratulations and support for my book. You guys are the best! Thank you! You asked some good questions. No, I don't know when I'll have advance copies. And, yes, you can preorder The Quilter's Field Guide to Color now on Amazon. Amazon says it ships November, 13th. Yay! Back to bee business. I've been remiss about blogging my bee blocks this year - I mean, the ones I make for other members of the bee. Even so, I usually do post snapshots of them to my Instagram feed. The tulip blocks we made this spring were one of may favorites. You can find the Dutch Treat patchwork pattern here. If your'e interested in sewing for charity with do. Good Stitches, let me know. We make quilts for all kinds of charities, using modern fabrics from your stash. It's a great way to use of scraps and try something new! Right now we're in need of quilters, which are folks who take a turn leading the collaborative quilt about twice per year. This is a quilt you'll want to be sure to finish. Any style of quilting is welcome.- straight line included! When I started do. Good Stitches, there weren't many options for modern quilters to collaborate for charity. Nowadays I think many are doing charity quilting through The Modern Quilt Guild. There are certainly advantages to collaborating locally! Maybe do. Good Stitches won't be around forever, but I'm glad we were able to fill the gap when it existed. It's truly been a highlight of my life.